Hi! I'm Carrie Ann Cole and I'm about to go live with my debut story. It's out April 11, 2017. That's just a few days! Can you say nervous? I've never told my story before. I figured no one wanted to know about a midwestern girl with dreams of becoming a personal chef to the stars. Then I got the job of a lifetime. I was called to go to work for the Duke and Duchess of Cambridge-yes the famous William and Kate. I packed up my suitcase and left for London. I'm now a private chef living in Kensington Palace and as an American I have a lot to learn. I think it is totally worth being clueless and a fish out of water. I mean, it's London, folks and I'm feeding the Royal family. It hits all of my dream-come-true buttons. Except for a few things that get in the way-like fighting with my boyfriend, finding a dead body and battling a British Head Chef who wants me out on my first day. All I have to say is it's all somehow worth every minute. Want a chance to win a copy of my debut story? 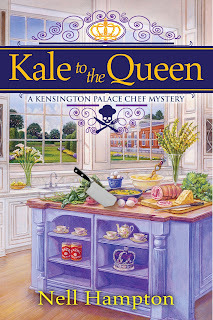 Tell me what your dream job is in the comments below and one lucky person will win a copy of "Kale to the Queen." I'd love to own a bookstore. Librarian. Not one solving mysteries, just me and all those books and all that quiet. Thanks for the giveaway. I can't wait to start reading this new series. My dream job would be to work in a bookstore. It might be dangerous, I'd probably buy more books than I do now. 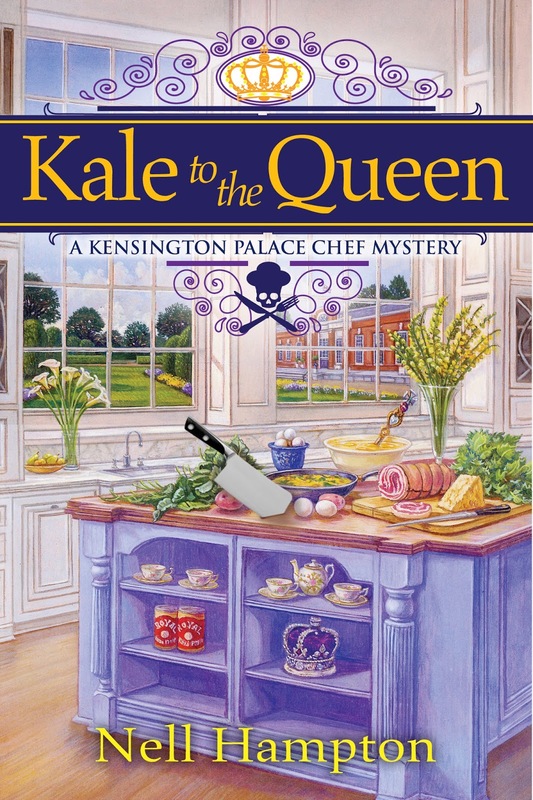 Can't wait to read "Kale to the Queen". My dream job would be to be paid to read. This title is so funny. I am still chuckling. I love the plot and would love to read it. My dream job is one I got to work which was in a historical Museum. It's all I ever wanted to do from 14 on.. The one I have now - I'm retired. Thanks for a chance to win a copy of your book. My dream job is running a no-kill pet shelter. Seriously...be an author. Submitted to the James Patterson's contest. No luck, but not giving up! My dream job would be to own a bookstore. I'm a retired banker, but my dream job was always to be a librarian since I worked as a library assistant in high school. My dream job would be to own a winery and be a fashion designer. I already work at my dream job. I work at my Mother's independent bookstore she opened 40 years ago this fall. Best job ever!! I have always loved photography and I think being a landscape photographer would be fun.